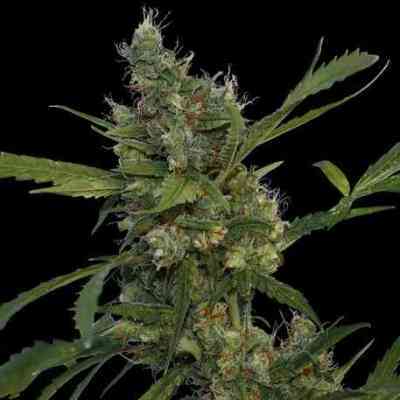 Morning Glory is created from a three way crossing of Afgani Indica X Hawaiian X Skunk #1. The Hawaiian influence was important here, as we succeeded to blend the East Coast Citrus flavours with the Kush effect of Afghani and cerebral high of Skunk #1. Morning Glory is very vigorous and two weeks in vegetation stage is enough. A further 8-9 weeks of flowering gives excellent yields of 550- 650 grams per m2 indoors and the plant thrives in greenhouses and outdoors yielding over 2 kilos per plant in ideal outdoor conditions. Intense pine flavours and a very strong cerebral high. A mouth-watering forest fruit taste.